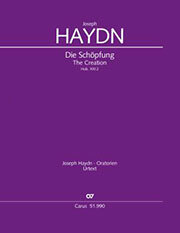 Haydn's magnificent Creation marks something akin to the "birth" of the German oratorio, in view of the fact that this work – which is popular all over the world – stands as a landmark between the great oratorios of Händel and Mendelssohn. 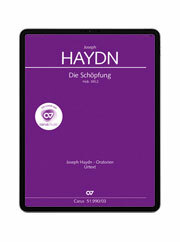 The composition of the Creation was particularly associated with the music of Händel since Haydn, on his two trips to England in the first half of the 1790s, had been profoundly impressed by monumental performances in Westminster Abbey. 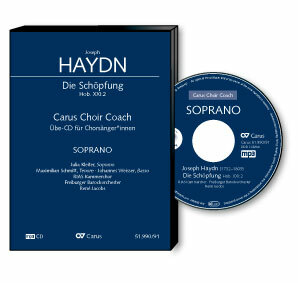 The choral parts are not particularly difficult; however, in order to most effectively attain the effortlessness and vivaciousness of Haydn's music, each part should be perfectly rehearsed.